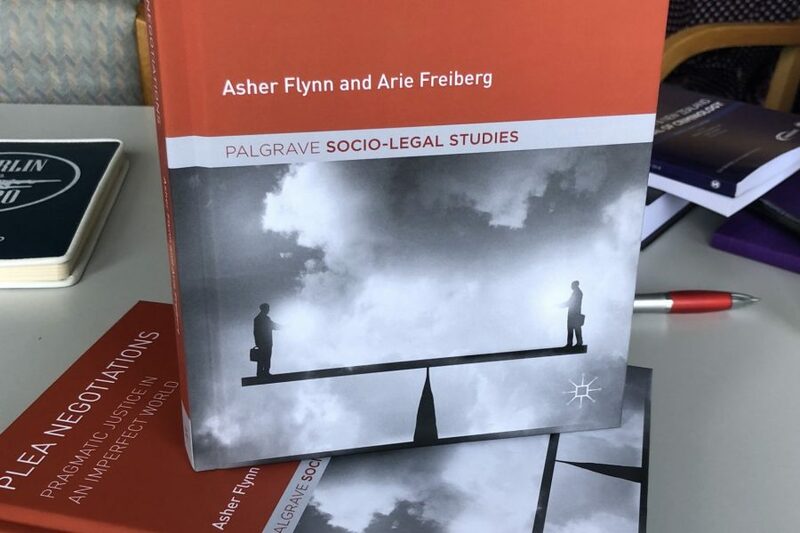 Monash Criminology’s Dr Asher Flynn’s latest book, Plea Negotiations: Pragmatic Justice in an Imperfect World (2018, Palgrave MacMillan), co-authored with Monash Law Emeritus Professor Arie Freiberg, was featured in an article written by Walkley-award winning crime writer and columnist, John Silvester, in The Age on 1 September. The article, entitled ‘Let’s Make a Deal’ describes the book as ‘meticulously researched’, where ‘we are taken inside the process that keeps the system working’. Silvester presents an overview of some of the key findings from the book and highlights the importance of the research in shining light on the plea negotiation process. Reminding readers that while ‘we need plea deals’ – an argument supported in the book – ‘those in the backrooms who deal the cards [need] to remember that while it is a numbers game, each number represents a real victim’, and a real offender. You can read the full version of the article here via The Age.